Your body can now be contoured with no anaesthesia, no scars, and no down-time. Ultrasound liposuction; otherwise known as Ultrasonic Cavitation, Body Contouring and Body Sculpting is a revolutionary fat removal technique that does not involve invasive surgery. There is no down-time whatsoever. It is scientifically developed and based on a medical breakthrough that uses ultrasound waves and radio frequency energy, to selectively break down fat cells and cellulite without affecting neighboring organs and cells. The treatment has immediate results and delivers further additional fat reduction within the week following the procedure. Ultrasonic Slimming will ERAZE stubborn fat deposits from those stubborn areas such as tummy, love handles, thighs, buttocks, inner knees, upper arm, male breasts, that never seem to disappear regardless of your diet or how hard you work out. The Ultrasonic treatment safely and effectively targets fat deposits and reduces body circumference for successful body contouring. Ideal combinations of powerful Cavitation, RF and Vacuum comfortably achieve a toned, contoured and well shaped body through a safe, non-surgical painless treatment. + the ultrasonic cavitation applicator continously emits sounds waves at an intensity that combines the acoustic energy with a termal effect, mainly in the deep fat layer. + after the cavitation treatment, the RF with vacuum suction acts by delivering thermal energy and facilitating lymphatic drainage in the fat layer which is at a lower depth than the region treated by the cavitation. The vibration of sound waves blasts fat cell membranes, causing them to explode into liquid and is passed naturally. As fat cells are destroyed they are reduced, and the body’s fat cell metabolism is improved. Destroying these fat cells removes the body’s environment for fat storage. 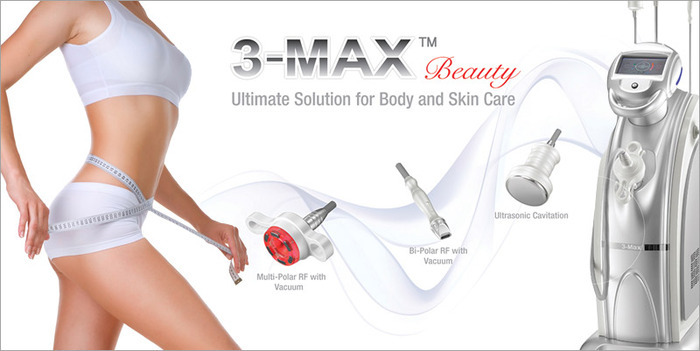 You can achieve volume reduction of fatty tissues and toning of the body. The results are gradual over a number of weeks as your body clears the broken down fatty tissues. It is not uncommon to achieve up to 10cm reduction by the end of the course of treatments. The results can be long lasting provided you follow a healthy diet and exercise program. However it is very easy to deposit fat again into the tissues if one over-eats, consumes too much alcohol or doesn’t exercise. Ultimately the result may vary depending on the individual’s different tissue structure, treatment area, age, metabolism, medication, and changes in hormones. Fat Cavitation is not a treatment for obesity nor is it a weight loss procedure. Rather is a method for reshaping and toning the body.